American fliers have weighed in on their favorite airlines, and Delta, Alaska, and Southwest Airlines rule the roost, according to a new study by ThePointsGuy (TPG). Bringing up the rear was Allegiant, Frontier, and Spirit. 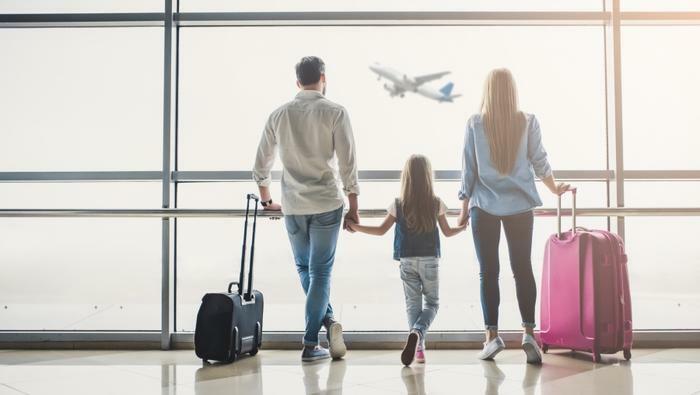 Taking into account everything from on-time arrivals to the number of cities served, TPG found some benchmarks that consumers might find interesting the next time they book a flight. Overall:Delta captured first place overall with a remarkable 92.7 percent on-time arrival score, the largest network of lounges, fewest people bumped, and the largest number of cities served. On the flip side? Discount carrier Frontier, thanks to its paltry on-time record, fell to last place. The carrier also scored low due to run-of-the-mill cabin features, a tendency to bump paying passengers, and a high rate of customer complaints. Regarding ancillary fees -- those nasty charges for every little thing the passenger wants to bring or do onboard -- Southwest Airlines got the prize for not penny-pinching its passengers. Of course, free is hard to beat, and with Southwest allowing fliers to check two bags for free and not charging to change a flight, it was pretty much a shoo-in in that metric. IIf fees are a turn-off, you might want to avoid Hawaiian Air. The airline charges an acceptable $30 for a checked bag but an astronomic $300 for flight changes, making it the study’s worst value for fees. You may also want to double-check your wishlist against what Delta is going to charge you for seatback screens, extra legroom, and the like. On-Time Performance: Hawaiian Airlines had the fewest delayed flights or cancellations and Frontier had the most delays -- an eye-popping 24.6 percent of its flights. JetBlue and Southwest tied for the most generous seat pitch in coach, at 32.9 inches on average, while Spirit’s 28-inch average seat pitch is the least-giving. Hawaiian and Frontier have the widest seats on average at 18 inches. Alaska has the narrowest seats at 17 inches. Alaska is the only airline that has power outlets at every seat. JetBlue wins the Wi-Fi battle with free Wi-Fi on every plane. Customer Satisfaction: TPG took into account the number of passenger complaints against each airline filed with the DOT and the number of lost luggage complaints. The winner? Southwest Airlines. ConsumerAffairs reviewers give Southwest positive ratings, and TPG’s survey takers seem to agree. On the opposite end of the satisfaction spectrum were Frontier with a jumbo jet-sized number of complaints. American’s baggage handling took a hit for misplacing 3.8 bags per every 1,000 passengers compared to Spirit, which only lost 1.7 bags per 1,000 passengers.